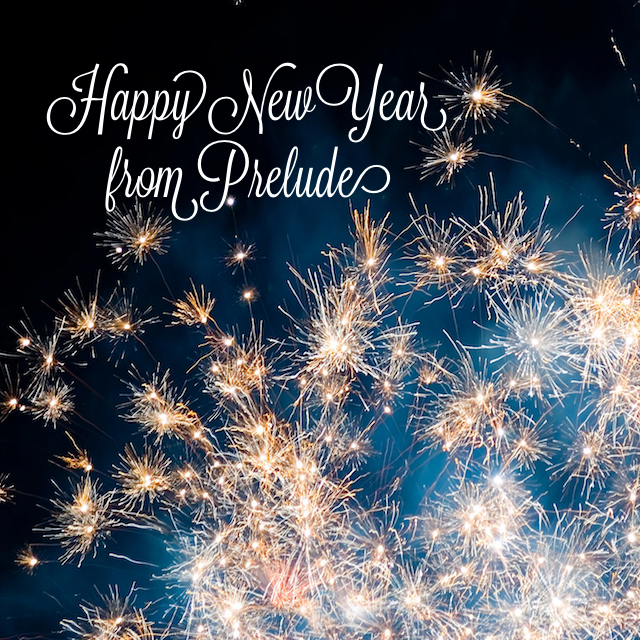 Prelude wishes you all a very Happy New Year! Prelude wishes you all a very Happy New Year. Raiders, please go check and vote on the poll to decide the raid start time. Guild News Comments Off on Are you ready? 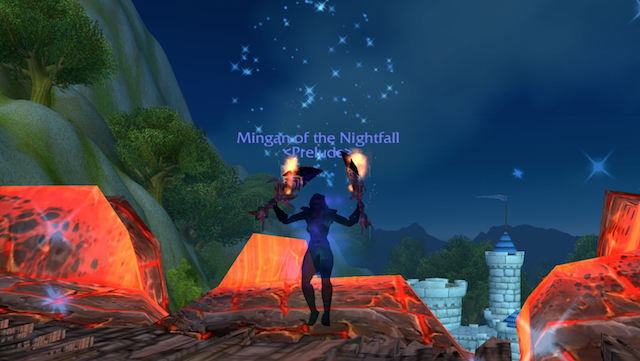 Welcome to the last hours of Mist of Pandaria. Prelude is SO ready to leave, right? 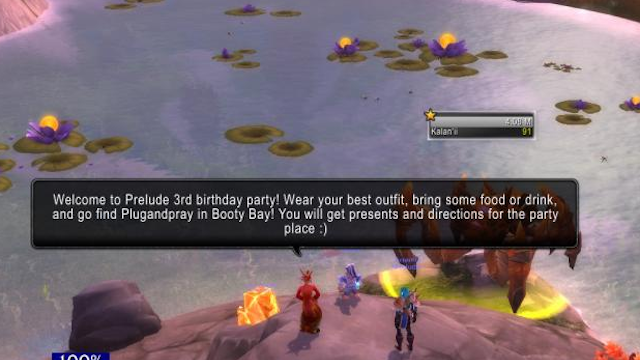 The last evening in Pandaria will be shared online. We will dance, take some screenshots (vote for the best place where to go!) and make plans in Mumble. Prepare your playlist for our MusicBot! 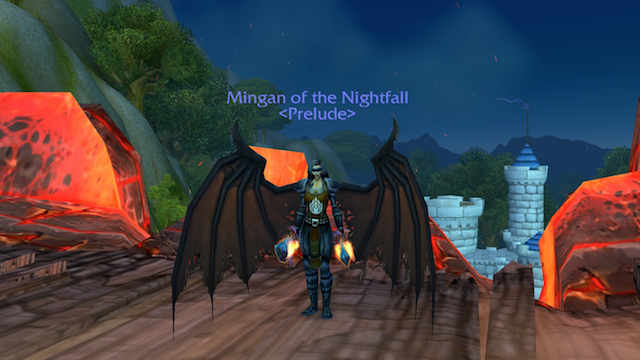 Shadowmoon Valley here we come! 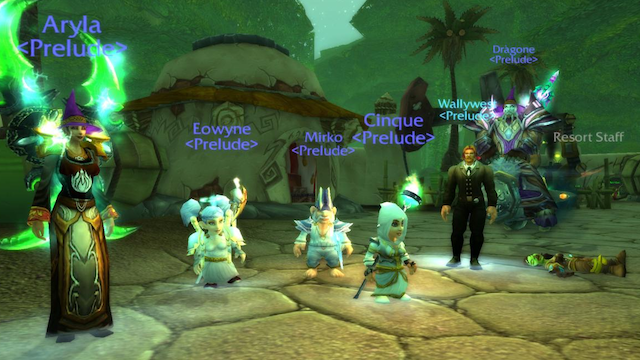 Guild Members, Guild News Comments Off on Happy Birthday Prelude! Prelude is officially, as of the 1st of July, 3 years old! 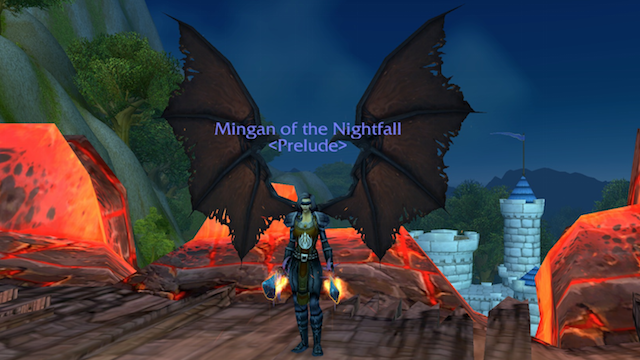 Last month we had a few trivia questions about the history of the guild. 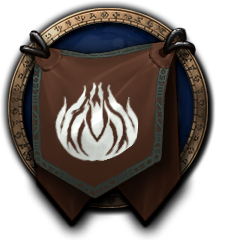 In case you are curious, our first guild master was Arzach, Auchter was assigned the first legendary, the guild was created between the 30th June and 1st of July and last but not least our pet master Sfendourax has the most achievements. Congratulations to Cinque for answering them all correctly! 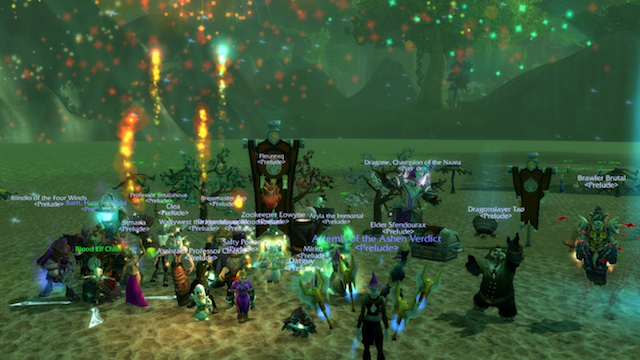 On Sunday 30th of June we held a guild celebration with some fun and games. 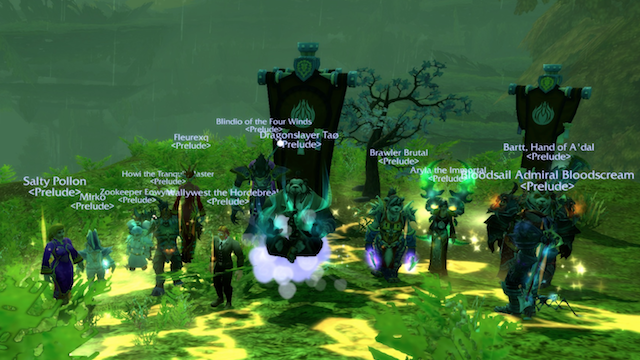 Thanks to all the guildies that attended and made it a fun evening for everyone. 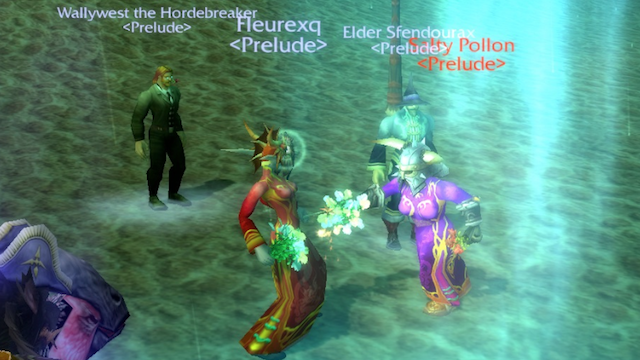 We started off with a short hide and seek intro that got people to the chosen spot for the party – The One and Only Steam Pools Resort in Feralas. 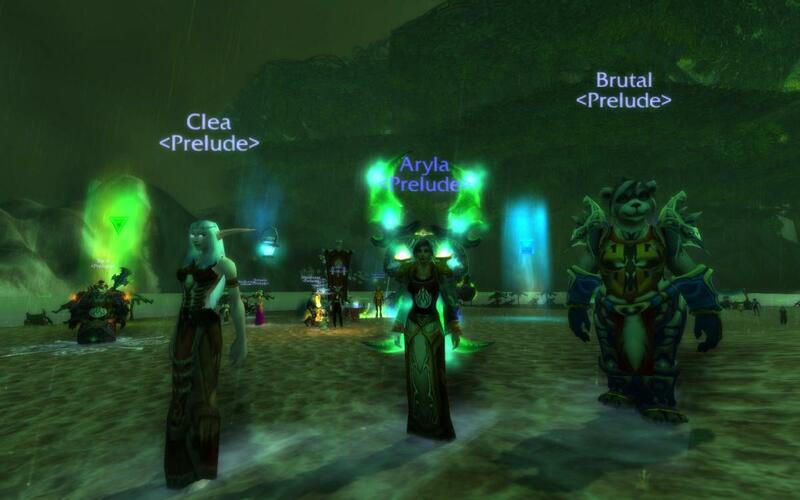 Congratz to Brutal, Aryla and Clea who were the first to find me and my lovely purple dress. 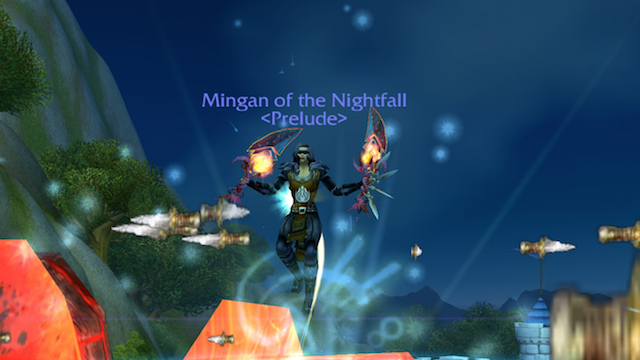 We shared some snacks with Gordon Tramsay, drank, danced and even dueled with Spring Flowers equipped. After that, we moved on to play Dead Gnome Darts. 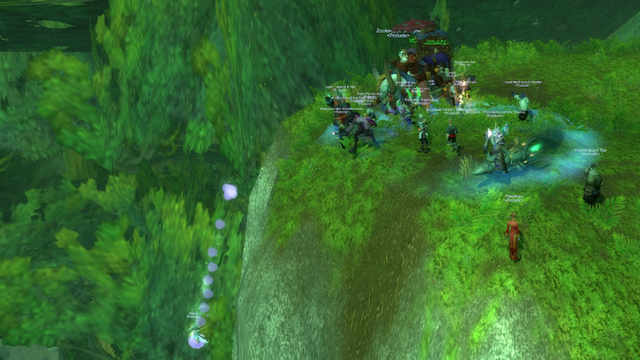 Our own Mirko volunteered (well we forced him) to jump off one of the Twin Colossals and die a brutal death. We then all got to jump and try and die as close to him as possible. No sneaky tricks except for a parachute bought from the nearby vendor. 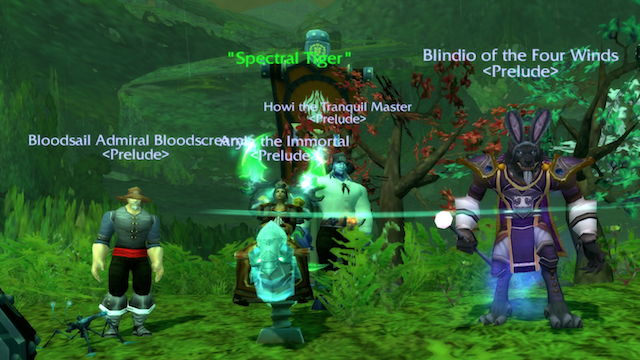 It was a tough one but in the end we had 3 clear winners – Aryla, Blindio and Bloodscream! 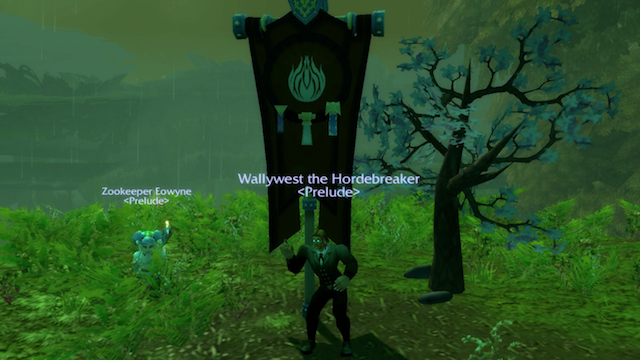 Last but not least we had some WoW Trivia Questions, it was a close race but Wallywest won in the end! Thanks for the fun guys and thanks to the officers for organising this evening and for all their work in keeping this guild going and making it a special place for all of us.